They measure 4.5cm from the top of the earwires. 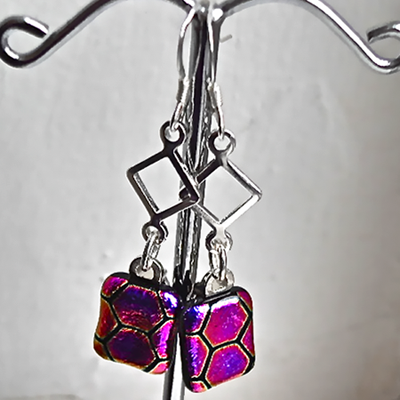 The glass pieces are made of Magenta/Black/Gold patterned Dichroic glass, and measure 1cm x 1.2cm. The plated silver attachments are 1.5cm x 1cm. The earwires are Sterling Silver and the earrings come in a black card gift box.